SingTrue can teach anybody to sing in perfect tune. Even if you think you're tone deaf! Worried that you have a bad voice? Always told you're out of tune or off-key when you sing? Many people think they can't sing because they don't have "natural talent" or weren't born "musically gifted". The surprising truth is that anybody can learn to sing well, even those who feel totally unmusical. SingTrue helps you discover your inner musicality and gain control over your voice to become a natural, confident, powerful singer. 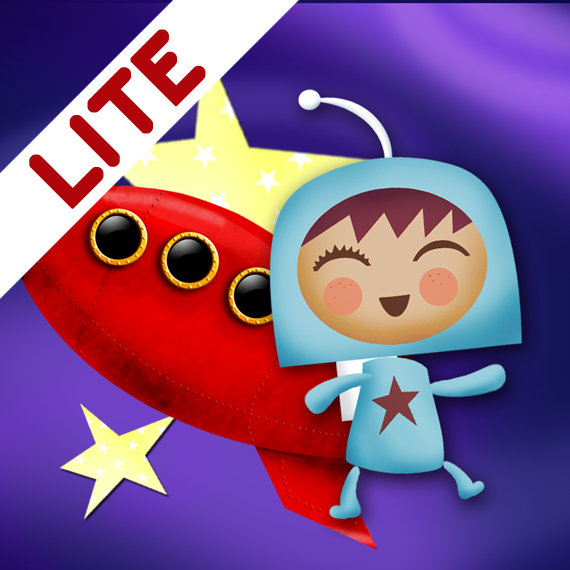 "Everything I wanted in an app I found on this one! It's easy to use and the exercises are great, I can already feel difference in my singing voice"
"Definitely recommend this to anyone who worries at karaoke time!" Spend a few minutes practicing with the app's exercises every day and you will rapidly become a capable, confident singer. Q: What if I'm tone deaf? A: Don't worry! You probably aren't. Close to 1 million people have taken our Tone Deaf Test, and just 2% have proved to be genuinely tone deaf. Still worried? 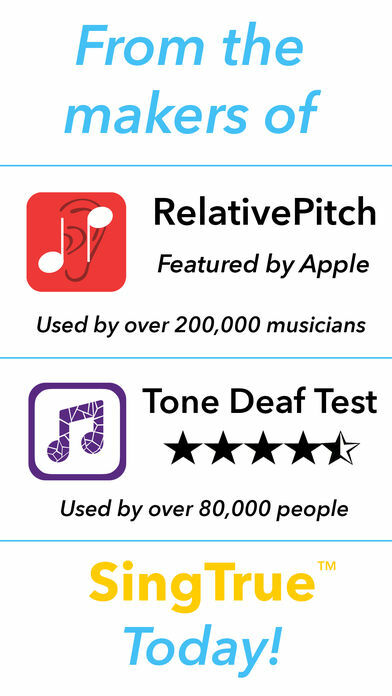 Search the App Store for our "Tone Deaf Test" app. Q: Is this just for people who like singing? 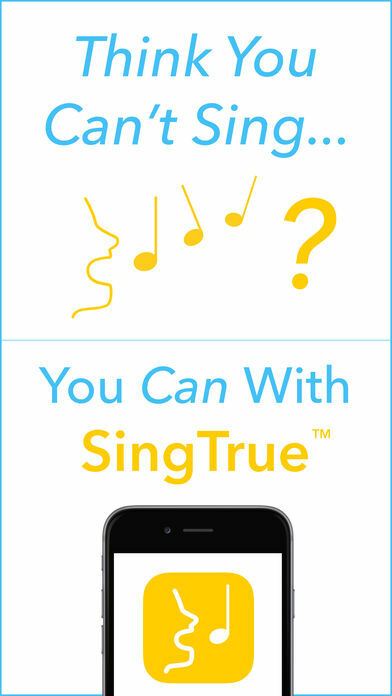 A: No, SingTrue has been designed for singers and non-singers alike. Q: Can you really learn to sing in tune? A: Yes, it's simply a matter of learning pitch sensitivity (ears) and vocal control (voice). Q: What if I can already sing? 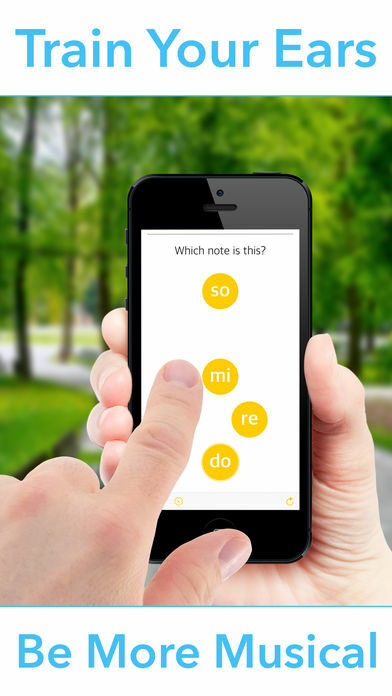 A: SingTrue can help you become more accurate, more expressive and more confident. 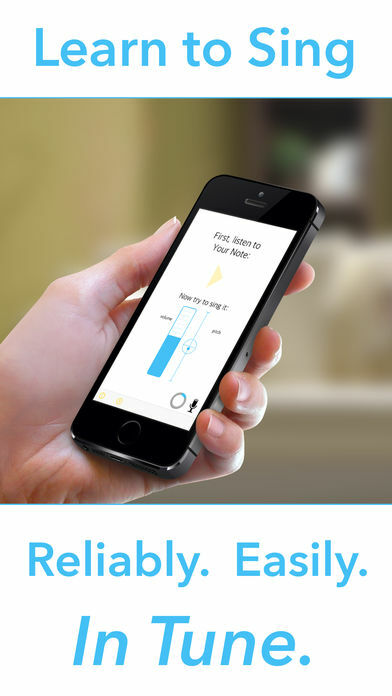 "This app is great way to learn to sing and to prove to my husband that I'm not tone deaf!" 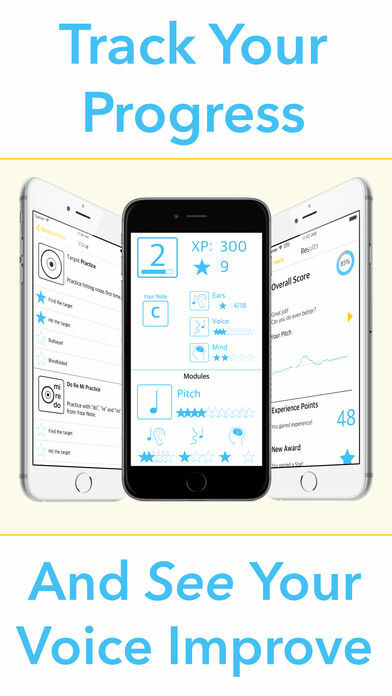 "This app is incredibly useful both to the beginner and to the pro singer. Bravo!" "I'm not a good singer by any means but with this app I think I finally have a chance to learn. It's been a few hours and I already can notice an improvement. Can't wait to see where I'll get when I have completed all levels." If you have any other questions or need help getting started, just email support@EasyEarTraining.com and we'll be happy to help. * Unlocking the full set of exercises requires in-app purchase.